Space Is The Place: three big bands in London. October 2009. Two were on the same bill at the Vortex. I walked in to the middle of a set by the Guildhall Jazz Orchestra, made up (I think) of students from the Guildhall jazz course, led by Scott Stroman. I must have said it before, but there is something just joyous about the sound of a big band – all that brass just makes me smile. Broadly! The Guildhall Jazz Orchestra made a lovely sound in a set of originals with a couple of standards thrown in (any band that plays Goodbye Pork Pie Hat gets my vote). They were followed by the London Jazz Orchestra, also led by Stroman; the Guildhall made a lovely sound, but the LJO were a couple of steps up: that bit more polished and professional, and, frankly, more certain what they were doing. It was a glorious sound! Maybe they are just that bit more experienced – the Guildhall students are just beginning their careers whilst the members of the LJO regularly feature big name players. 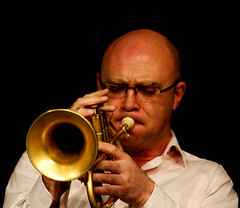 The only name I recognised in this gig was trumpeter Henry Lowther, but I hope I get to see other members in the next few weeks – they were pretty impressive, with impassioned solos all around. And then… And then I saw the wonderful maelstrom that is tHE SponTANeoUS CosMic Rawxtra [sic!] at Kings Place, a pretty smart new venue. The low point: the number of people who turned out not enough, and this music deserved a lot more attention. The high point: ninety minutes of captivating orchestrated improvisation. This was brilliant and exciting music, several steps up from LJO (which doesn’t detract from the LJO at all!). The Cosmic Rawxtra were heavenly. 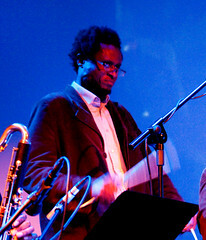 Taking his lead from the extraterrestrial meanderings of Sun Ra (the only jazz musician from Saturn. Apparently), Orphy Robinson “curated” the Rawxtra incorporating bits of Ellingtonia (a slowed-down version of the riff from “Blue Pepper” played on flute and bass clarinet set again furious double- or triple-time drums and percussion) and segments of modern jazz (another piece seemed to be based around the ubiquitous bass theme from A Love Supreme). Behind it all, Camille Hands on bass and Steve Noble on drums and random percussion (with the occasional whistle thrown in) carried the music along; there was a really funky dub number, and a lot of free-ish jazz for Noble to get behind. This was just great music: a celebration. Wonderful! 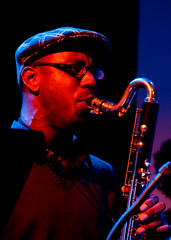 This entry was posted in Jazz and tagged Camille Hinds, Cleveland Watkiss, Corey Mwamba, Guildhall Jazz Orchestra, Kings Place, London Jazz Orchestra, Ntshuks Bonga, Orphy Robinson, Scott Stroman, Shabaka Hutchins, Steve Noble, Sun Ra, tHE SponTANeoUS CosMic Rawxtra, The Vortex on October 30, 2009 by patrickhadfield. 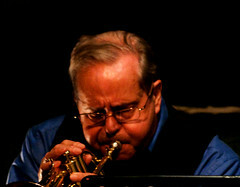 I went to see Kenny Wheeler at the Vortex last week. His flugelhorn playing led a piano-less quintet with Stan Sulzmann on tenor, John Piccarelli on guitar, Chris Lawrence on bass and Martin France on drums. 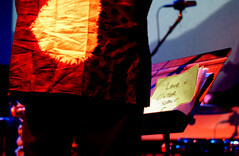 I enjoyed the gig a lot, but I also felt rather ambivalent about it, too. 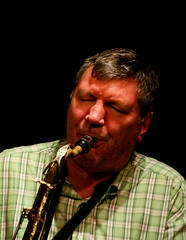 Some of the playing was excellent – I particularly liked Sulzmann’s clear, muscular sax and Piccarelli’s inventive, somewhat abstract guitar (I always assume that electric guitarists achieve these effects through pedals – it certainly adds a lot of colour and tone to music). I was less certain about France’s drums – he seemed to have a harder sound than the music called for – and Wheeler’s playing seemed somewhat variable: at times he played with beautiful clarity and warmth, with lovely, inventive solos; but at others he seemed to play flat notes, and that jarred somewhat. They played a mixture of free-ish tunes and more regular tunes, and I thought they were best when at their most abstract: there was a wonderful free number in the second set where the flugel, sax and guitar were allowed to fly by the underpinning of some amazing bowed bass and brilliant free drumming. It was a mixed night, then: some enjoyable numbers weighing down a couple of superlative pieces, the latter making me wish it had all been like that. 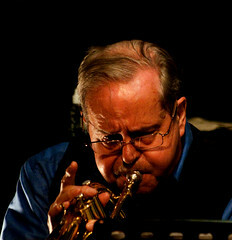 This entry was posted in Jazz and tagged Chris Lawrence, John Parricelli, Kenny Wheeler, Martin France, Stan Sulzman, The Vortex on October 17, 2009 by patrickhadfield. Searching for the perfect jazz venue… October 2009. When I first got into conversation with Sebastian from LondonJazz (prompted by Euphbass, as it happens), he asked me what my favourite venue was. I didn’t have an answer, but the question has haunted me for weeks. Just what is my favourite venue? I’m not sure why I find it such a hard question to answer. Perhaps it is because a venue is, for me, impossible to separate from the gigs that go on in it – I don’t think I could think of somewhere as being a good venue if the music I saw there was bad. Perhaps it is because the venues and the music are so much part of the time and place. And when thinking about it, I realised that my favourite music venues don’t exist. Except, perhaps, in my memory. Oh sure, they used to exist; but no longer. But I am thinking of the original Jazz Cafe, small club on Newington Green in north London started by Jon Dabner. It was an inauspicious venue: it had a tiny stage near the front door, a bar to one side, and more space down a step or two at the back. If it was crowded, you couldn’t see much of the band. But this place had a great feel: it was laid back, it wasn’t too corporate – indeed, it was the perfect antidote to places like Ronnie Scott’s. Being away from the centre, you really needed to want to go there, so it was full (or not…) with people who liked the music, not people who were going to a tourist site or a business dinner. The music – and frankly it was all about the music – was new and exciting: the first Jazz Cafe started in the early 1980s (I think – I wasn’t in London at the time! ), but it wasn’t until 1986 that I started going, and only in 1987 that it became a regular place for me. 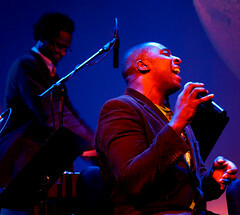 That was during one of British jazz’s “great revivals” (one of a series continuing today! 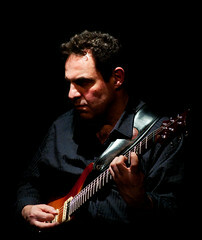 ), and there were a host of young players to be seen at the Jazz Cafe. 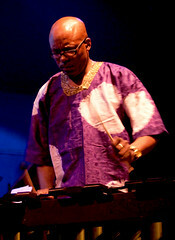 Mostly from the Jazz Warriors‘ and Loose Tubes‘ stables, I remember seeing many young artists there – Steve Williamson, Julian Joseph, the wonderful Mondesir brothers (even then I thought Mark Mondesir one of the best drummers I had ever seen), one of whom always seemed to be there (this confused me: bassist Mike and drummer Mark look very alike, and I thought they were the same guy to start with – a musician so talented he could play both drums and bass like the best! 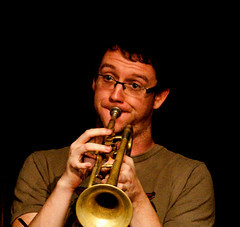 ), Jason Rebello, Iain Ballamy, the Arguelles brothers (sax and drums, this pair – I saw a lot of saxophonist Julian when he moved to Edinburgh in the 90s…), multi-instrumentalist Django Bates, Alec Dankworth – the list could go on: the guys that played at the Jazz Cafe were the cream of the London jazz scene. It wasn’t just limited to the young players: survivors from previous jazz revivals played there too, and there was a rich vein of South African emigres like Dudu Pukwana and Louis Moholo. Other times it was packed out – really full. 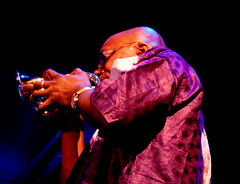 It was still friendly, but perhaps it was spoiled by its success: Dabner decided to move to Camden, to a lavish venue with several bars, a larger stage, and better restaurant… It was more convenient for me – walking distance – and I would venture down to the new Jazz Cafe several times a week, sometimes. A much larger space, they could attract big names from the States as well local acts (my favourite gig at the new Jazz Cafe was another Julian Joseph set, this one sold out! ); but it lacked the atmosphere, the friendliness of the old place. 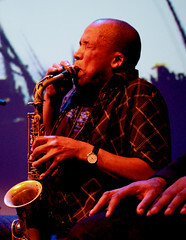 It too got corporate itself, and when the Mean Fiddler took it over, it remained the Jazz Cafe in name only – now it barely seems to have jazz artists on the bill at all. 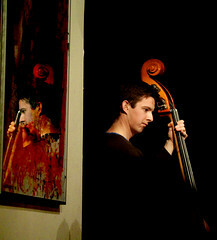 The other venue that I keep going back to – in my mind, at least – is Henry’s Jazz Cellar in Edinburgh. It was a grungy place in the basement of a chinese restaurant. Run jointly by jazz promoters Assembly Direct and the eponymous restaurateur Henry, like the original Jazz Cafe it was small and friendly. Too hot in the summer and too cold in the winter, the walls sweated jazz. The bar was away from the stage, so people could talk there (the bar always seemed to be crowded with musicians – they were let in free, and seemed to go there just to hang out and talk). It had a great atmosphere – again, down to the bands, mostly: one of my most memorable gigs ever was the UK debut of EST to an over-full house; I also saw both Ethan Iverson and his band the Bad Plus play Henry’s. 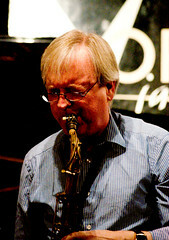 But mostly, it was a great place to see local musicians – I saw Colin Steele play there several times in different guises (including his quintet with Julian Arguelles), and the Bancroft borthers Tom and Phil (another sax-and-drums relationship – twins this time; both doctors, too!). Henry’s Jazz Cellar was the kind of place one could show up after something else, just to catch the second (and always better…) set, just to see what was going on (and have a drink or two!). Again, the people running the place made it friendly – it may have helped knowing them and meeting and seeing the same musicians there a lot. The bar staff – not necessarily jazz fans – made one welcome. And the music seemed to come first. Thing is, both the Jazz Cafe and Henry’s Jazz Cellar have another thing in common: they no longer exist, at least in the form they did when I loved them as venues. The Jazz Cafe in Camden feels very distantly related to the one in Newington Green, and whilst Henry’s still functions as a venue, it no longer features jazz. Both are now only venues in our collective memory. Much of what makes a great venue might be down to the music. I have been to many memorable gigs in Islay Jazz Festival: the Round Church at Bowmore is a remarkable venue (I saw Tommy Smith and Arild Andersen there, and it was spell-binding! ), and the bottling plant at Bunnahabhain has seen some incredible gigs – the perfect place for John Rae’s Celtic Feet. 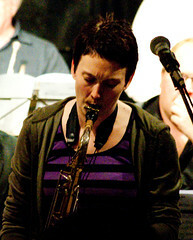 I think the whole of the Islay Jazz Festival just makes for a series of amazing gigs – and hence venues. In London, my favourite venue now must be the Vortex, because they keep putting on gigs I want to see (Kenny Wheeler next week!). It has a bit of the same feel as the original Jazz Cafe; and it is all about the music. 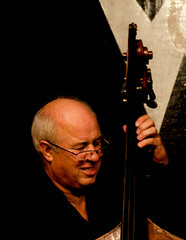 This entry was posted in Jazz and tagged Henry's Cellar Bar, The Jazz Cafe, The Vortex on October 4, 2009 by patrickhadfield.